Movie | Damian Trasler's Secret Blog - Do Not Read! I read on the internet this week that there is some trouble over the proposed Boba Fett movie. Problems with a satisfactory script, say the rumours. Well, it’s the internet isn’t it? Who can believe what they read there? But in this case, I think I can see there would be an issue. My friend on G+, Eoghann Irving, says the problem is that Boba Fett is an over-rated character – two dimensional and actually uninteresting. It’s certainly true that he doesn’t get to do very much in the films that actually feature him : “The Empire Strikes Back” and “Return of the Jedi”. In the first he is merely persistent, tracking Han and Leia to Cloud City and taking possession of Han’s frozen body for delivery. No action at all. He does get to fight and fly in “Return of the Jedi”, but he’s not very impressive there, using a cord-projector to try and trap Luke Skywalker, who has no trouble cutting the cord with his lightsabre, then getting knocked off the skiff and into the Sarlacc pit by Han Solo even though Han’s still blind. Despite this lack of brilliance, Boba is beloved of fans, and even before the prequels gave us Jango Fett showing a more combat-savvy Mandalorian fighting style, there were legions of Boba wannabes building their own dented helmets and jet packs. The fundamental dichotomy here is that you have a niche character, and you want to make him appeal to a huge demographic so they will all pay lots of money to see his movie. But that’s not going to work. Boba achieved iconic status DESPITE his lack of action, and the fact he only speaks a handful of lines in the trilogy. 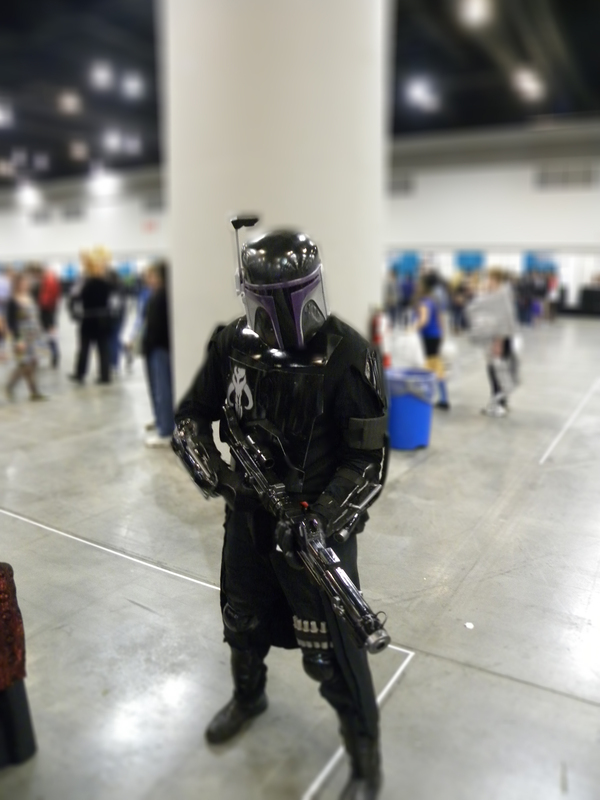 (I would bet that kid-Boba has more lines in “Attack of the Clones” than his elder counterpart has in the two movies that feature him…) To make a good Boba Fett movie, you have to have him BE Boba Fett, not Indiana Jones in a dented helmet and jetpack. My appeal to you, Disney (and I know it’s no more likely to succeed than my letters to Microsoft or the UK Revenue) is to let Boba do what Boba does best. Send him off on a hunt for a bounty. Stop thinking he’s a hero, and start thinking ANTI-hero. Hell, why not model him on Clint Eastwood’s Spaghetti Western character, the Man with No Name? I can see Boba playing two sides off one another in a war so that the way is clear for him to collect a whole bunch of bounties. The point is, you’re not going to end up with a movie that you can use to sell plastic toys to seven year olds. I mean, sure, you can make the toys and sell ’em, but the movie should not cater to kids that age. It should cater to kids like me, who are forty odd years old, and have loved Star Wars since our first visit to that galaxy far, far away. 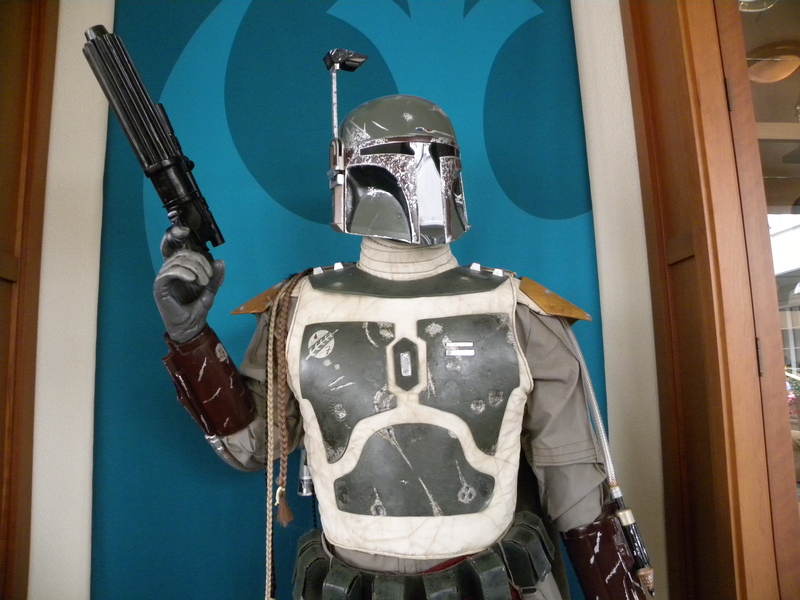 Boba’s a bounty hunter, just a working stiff trying to make his way in the galaxy. We don’t want to know more about his motivations and his back story – we want to see him in action, shake off that “Vader’s lapdog” image and be the badass we all hope he really is. 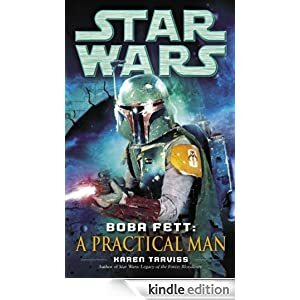 If you want a better idea of Mandalorian culture, go read Karen Traviss’ books. She took those brief hints from the movies and created a warrior race to be proud of, complete with language and traditions. You could do a lot worse than use her ideas in your movie. A lot worse. Please, whatever you decide to do, don’t go with “worse”. *It’s like this : I’m a Judge Dredd fan, and I saw what Stallone did to that character. Karl Urban did a stand-up job, but seriously, Sly, what the hell? Did you even READ the source material? And yes, I am writing a screenplay for a Boba Fett movie. Why, do you know someone who might be interested?